Thus the idea for a land conservancy was born. In 1987, Hansen and a group of neighbors co-founded Rondout-Esopus Land Consrvancy to help preserve the integrity of their landscape. Two years later, Hansen’s family put their 360-acre farm in easement. 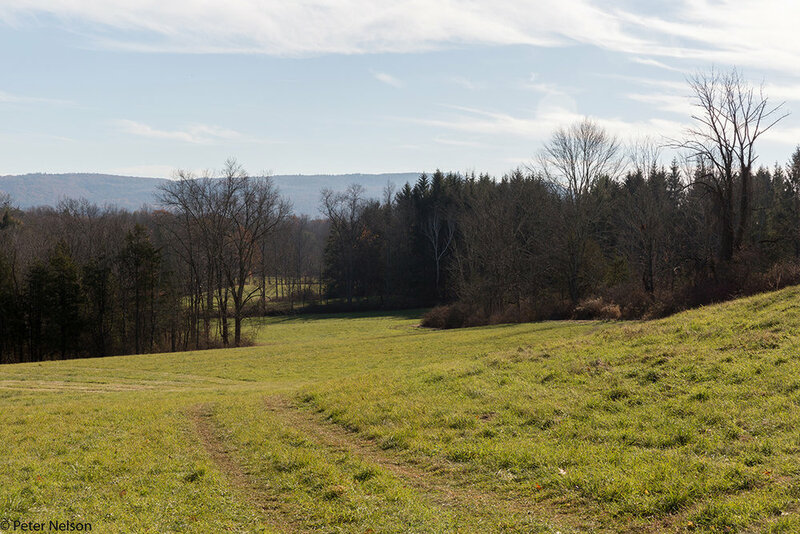 In their conservation easement, the Hansen family included provisions for five developments on eight potential sites, areas strategically chosen because they were not conducive to farming. In order not to limit future uses of the farm, the Hansens also included a provision that any number of agricultural buildings could be added. “We were interested in having the land remain productive, which means you need to maintain the ability for someone in future to modify it to whatever they're going doing,” Hansen says. “No one knows what future of agriculture is in the area.” He points to on-farm cideries, breweries, and distilleries, which were only legalized in the past few years. “Those businesses wouldn’t even have been considered when we did the easement. If we had specifically cited certain types of buildings or no buildings those businesses would be precluded,” he says. In the `90s, Hansen’s family campaigned for the formation of the Rest Plaus Historic District, which they succeeded in adding to the National Register of Historic Places in 1995. While this designation is largely reserved for buildings, the Rest Plaus district was recognized for its open space, an unchanged landscape that has been continuous agricultural use for over 250 years. “The historic district was another conservation tool we found,” Hansen says. Several of the properties contiguous to his own are now protected both through conservation easements and the historic district ordinances. The Hansen family farm remains in active agricultural use, with the majority leased for grazing and haying operations. “Most importantly, we have ensured that the property will stay the way it’s been for the last 200 years,” Hansen says with pride.